Make your little ones's birthday extra special with anyone of our personalized products. 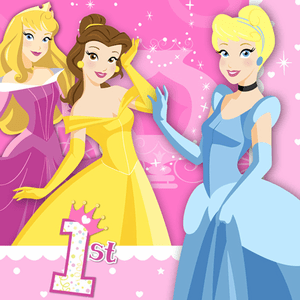 We carry Disney Princess 1st Personalized Birthday t shirts, Party Favors, Stickers, and Invitations. Our designs are similar to the party theme and are sure to be a big hit at any party!